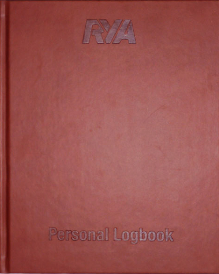 Bluewater carries the largest selection of RYA Books & Publications in the US! includes some pre-exam requirement information for RYA Coastal Skipper, Yachtmaster® Offshore and Ocean certificates of competence. 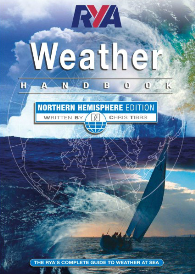 The RYA Weather Handbook has been written to enhance the RYA Day skipper and Coastal Skipper/ RYA Yachtmaster syllabus and is recommended reading for anyone taking these courses. It'll enable you to make more informed decisions and it's full of practical advice on how to understand weather maps and improve your forecasting skill. Navigation techniques and practices have changed dramatically over the past ten years or so; GPS and electronic chart plotters, in particular, now offer unprecedented levels of accuracy and reliability. The RYA has adapted its Dayskipper, Coastal Skipper and Yachtmaster courses to reflect the fact that many sailors and motor boaters now regard electronic instruments as their principal means of navigation. However, traditional methods still have an important part to play and this book covers them both, giving equal emphasis to electronic and traditional methods, and to the needs of power and sail.